Greetings, ladies and gentlemen. As we bask in the glow of our first drafted-and-homegrown player to make the Hall of Fame, we know that Roy 'Doc' Halladay will always be ours, no matter what the HOF plaque says in July. Blue Jays fans know it. Most Phillies fans (idiot columnists notwithstanding) know it. 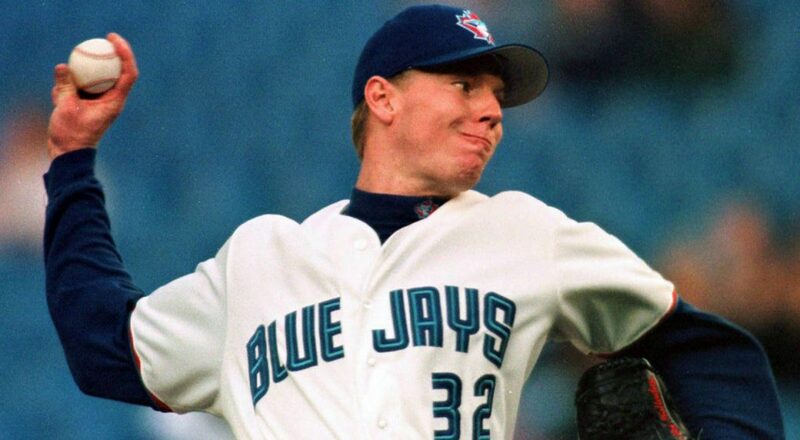 Harry Leroy Halladay III is a Hall of Famer. Just amazing to say that. I remember with pride the day Roberto Alomar was announced as a Hall of Famer and that he said he'd go in as a Blue Jay despite playing just five seasons with the club. But it is an entirely different level with Doc being a Blue Jay from draft day as a teenager until he was traded to the Phillies after wearing the big league uniform for twelve seasons. I can remember Doc's debut as a major leaguer (link here, and fun fact: Dave Stieb relieved Doc in the 6th inning) and, of course, the near no-hitter in his next outing. I watched him "grow up" as a ballplayer, turning in one of the worst seasons in major league history and then gradually evolving into the legendary Doc persona where he developed his second-to-none work ethic, inapproachable manner on game days and bulldog mentality on the mound. And he did it as a Toronto Blue Jay. Now, let's take a look at the future of the Hall of Fame - specifically the outlook for next year's ballot and also which current players are likely to make the HOF. One thing I've always enjoyed doing with my younger Things as we watch ballgames is to point out top players to watch, usually potential HOFers, tell them these are the guys to watch so maybe they could see what made them stick out from the crowd. I remember pointing out a 20-year-old Mike Trout on Canada Day 2012, knowing he was already displaying signs of greatness. This might be a long read, so grab a coffee (or beer) and buckle up. If you're reading this just after 7 am, reach for the coffee instead of the beer. It's better for you. Yes, really. The 2019 ballot was very good news for Larry Walker as Mike Mussina just squeezed into the HoF. Not only were Edgar Martinez and Fred McGriff going to be off the ballot, but also Mussina, freeing up years of logjams for voters. There will be only one significant new addition to the 2020 ballot: Derek Jeter. The next highest players on the HOF meter joining the ballot are Jason Giambi and Alfonso Soriano -- they're not threats to get a lot of votes. Cliff Lee, Bobby Abreu and Adam Dunn may get some votes tossed their away, perhaps enough to stay on the ballot for another year. Oh, hey, Marco Scutaro and Lyle Overbay are also joining the ballot! Almost all of Mariano Rivera's 425 votes will go to Jeter, but not unanimously -- let's say 410 as a high estimate for Jeter (that's about 50-75 too many, in my opinion, but he's a YANKEE with legendary gift baskets). That frees up 15 votes to go to other players. Edgar is finally off the ballot and that opens up 363 votes. Doc was one-and-done on the ballot with his 363 votes. Mike Mussina was on the ballot for six years and frees up 326 votes. That's a total of about 1067 votes available from the four newest Hall of Famers (363 + 363 + 326 + 15). Add in Fred McGriff falling off the ballot after ten years with 169 votes becoming available, so we have about 1236 votes to distribute. As Walker got 232 votes and I'd bet at least 90% of these ballots also had Edgar/Doc/Moose on the same card, that means about 120+120+90+15 "stray" votes are open to be reallocated to Walker or other players on the ballot (a total of 345 votes). So, where are these 345 votes going to go? 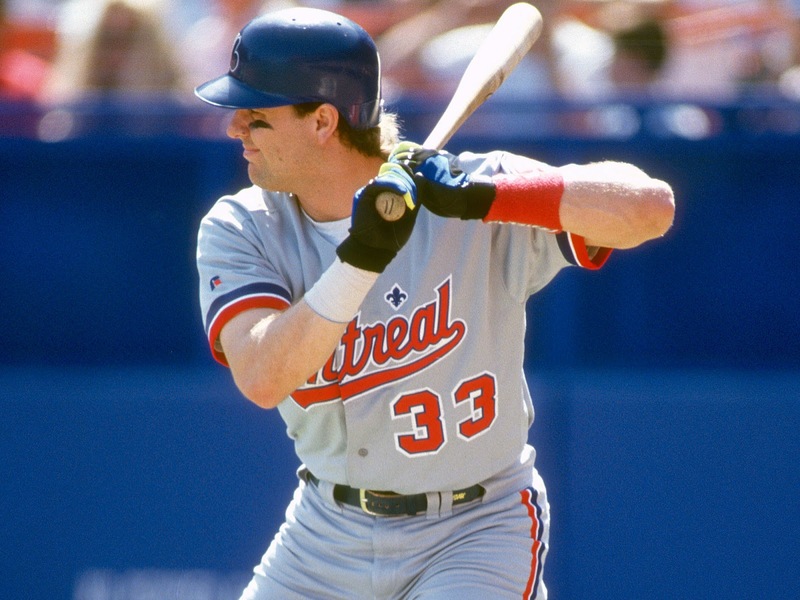 There are four returning players on the ballot who got at least 50% of the vote: Curt Schilling, Roger Clemens, Barry Bonds and Larry Walker. Schilling, Clemens and Bonds are all entering their eighth years on the ballot and Walker will be in his final year. Schilling (reprehensible cretin), Clemens and Bonds (both stained with PED allegations) may or may not get a bump up in votes as there seems to be a set of writers who have resolved to never vote in their favour. This clearing of the logjam may change things, though. I would predict that Schilling gets pretty close to 75% (he was at 60.9) if not over. Clemens and Bonds may get just a token of extra votes and minor jumps up from their 59.5% and 59.1% totals, but I don't think it's going to be enough to get in until their final seasons on the ballot. For years, Edgar Martinez was the cause célèbre with arguments all over the place in favour and against his inclusion to the HOF -- before Edgar, it was Tim Raines (final ballot) and Bert Blyleven (2nd last ballot) who eventually got in after heavy lobbying. This year, it looks like the baton will be passed onto to Larry Walker with noted writers such as Joe Posnanski and Jay Jaffe advocating for his inclusion. Walker needs 87 votes for induction to go with the 232 he got this year. I foresee that there will be a renewed series of articles focusing on Walker's candidacy to replace the ink that Edgar got the past few years -- will it be enough to bring in the extra 87 votes? This article (<-- click) from Joe Posnanski seems to have opened a lot of eyes out there as Walker made huge jumps in voting % in both ballots since that article came out. Let's start with the 10-vote limit per voter. About 14 voters stated they'd have voted for Walker if they could have had more than 10 players to check off on their ballot. That leaves 73 votes to come from the 331-or-so available votes. Easily doable, especially considering that Walker had a higher HOF meter and standard scores than Halladay, Mussina and Martinez, and a higher WAR than two of these three. Biased Prediction: Walker gets the 87 votes he needs to just squeak into the Hall of Fame. Your 2020 Hall of Famer. Other carryovers on the ballot who could get a jump in votes? I think Scott Rolen is going to get the largest increase in votes, other than Walker. He was only at 17.2% but there was a lot of talk about Rolen amongst writers who bemoaned the 10-vote ballot limit. Omar Vizquel (gag) will get perhaps a 10% boost in votes. So who will be in the 2020 Hall of Fame class? I'm going to say Derek Jeter (95%), Larry Walker (76%) and Curt Schilling (75%). Clemens and Bonds go up maybe 5% into the mid-60s. Vizquel goes up to about 50-55%. Let's take a look at active players and see who might be future Hall of Famers. For this exercise, I'll be looking at players who are expected to be active in 2019 and also have reached 10 years of major league service -- for HOF considerations, players must have played in ten major league seasons, no matter how few games played in any one season. For example, Madison Bumgarner had a four-game cup of coffee at age 19 in 2009; it's enough to count as a major league season and to make him eligible to appear on the ballot five years after he retires. I will include a mention at the end for recently-retired players. These guys have done enough that they could retire tomorrow and march right on into the HOF without any arguments at all. He's unquestionably a first-ballot guy if he hadn't been suspended for half of last year for a PED violation. Now? Who knows how writers will be thinking by the time Alex Rodriguez (in two years) and Robinson Cano (in however many years) make the ballot -- they were busted and suspended, so Manny Ramirez will be their best HOF comps. Manny got 22.8% in the most recent ballot, so that is about where Cano will likely be. A-Rod will fall in somewhere between Clemens/Bonds and Manny as he's a step above Manny in worthiness. CC Sabathia has built up a long and mostly consistent career with a Cy Young on his resume. He's now 38 but still had respectable seasons in 2017 and 2018, so if he goes two more years at similar levels, he'll be at 260+ wins, which is huge in today's baseball. His 3.70 career ERA isn't pretty, but he'll have a high win total, 3000 strikeouts and New York visibility, which will boost him up in the eyes of many baseball voters. Joey Votto, right now, doesn't have the counting stats but he's entering his age-35 season and has the skill set to keep the rate stats up, if not the power. The career rate stats are excellent: .311/.427/.530 and if I remember correctly, the only two players who have retired with a .300/.400/.500 slash line and are not in the HOF are Larry Walker and Manny Ramirez (Edgar was on this list, but is now in the HOF). What Votto needs is 3 more solid seasons such as the ones he turned in from 2015-17; if he repeats his 2018 season in the next couple years, he may not make it. Repeating 2015-17 will give Votto 2260 hits and 360 HRs, a much more palatable level for the HOF with his slash line instead of the 1729 hits and 269 HRs he's currently at. I'm rating Votto this high because of his rate stats and potential to build upon that. I think I will stop here as the rest don't look like legit candidates by this point. For all of the 'other' players mentioned above, it will depend on their career arcs as they complete their careers -- for any of them, the HOF can be achieved with a number of excellent seasons to follow. All are flawed candidates, but all have certain values that make them look like borderline HoFers. Zack Greinke - he's built a surprisingly under-the-radar but steady career with consistently good rate stats. He's coming off a very strong season at age 34 and is now at 187-118 with a 3.39 ERA, 3.39 FIP and 2400 strikeouts. With his strong health record, he stands a reasonably good bet to reach 500 starts, 3000 innings, 225+ wins, and 3000 strikeouts. Verducci comps him to Mike Mussina, except Greinke has a Cy Young (and could easily have won a second in 2015). Like Mussina, Greinke has five Gold Gloves. Buster Posey - without question is in, in my opinion. He was the steadying influence behind the plate for the three Giants championship teams in 2010, 2012 and 2014, plus he's a career .306 hitter with a batting title, a Gold Glove, four Silver Sluggers and a MVP trophy. And he's still only 31. And he inspired a rule change! Madison Bumgarner - He just completed his 10th major league season, and he may only have 110 wins, but he's still just 29 years of age. He may be coming off two injury-plagued seasons, but they were freakish injuries which shouldn't be reflective of his shoulder/elbow's condition, and he's otherwise been consistent and indestructible on the mound -- I can see him easily lasting another 7-10 years at least. He has a 3.03 career ERA, 3.25 FIP, 1.097 WHIP -- all upper-level rate stats -- and an exceptional post-season resume. The only area of concern is that he had a higher BB% and lower K% in 2018 after coming back from a fractured hand from being hit by a come-backer to the mound, but a broken hand doesn't impact the shoulder or elbow in the long run. If you combine 2017 and 2018, you have 38 starts (4 more than 2016 alone) and 240 innings, with a respectable 3.29 ERA, 1.17 WHIP and 210 K. If Bumgarner regains his 2011-to-2016 form for another five seasons or so and reaches 200 wins, he's a lock. At age 29, he's got plenty of time to burnish his resume and is very much on a HOF track. Ryan Braun - a lot will depend on how he closes his career and the general feeling towards PEDs by the writers by the time he makes it onto the ballot. After twelve years in the bigs, Braun has 1800 hits, 322 HRs, over 1000 RBI, 200 SB, a .299/.361/.535 slash line, a Rookie of the Year, a MVP and five silver sluggers. At age 34, there's time for him to build upon all of these numbers, including the hits and HRs. His legacy is complicated, though, with the PED suspension and attitude of the writers. I think that even if Braun finishes his career on a strong note, he doesn't get into the HoF, though he should bounce around on the ballot for a long time. No. Felix Hernandez - three years ago, we'd have been starting to work on his plaque. But he's rapidly fallen off a cliff and looks pretty much finished; instead of a chisel for the plaque, people were sticking a fork in him. Has he done enough in his 20s to lock up a spot? Let's take a look. Before turning 30, he had 143 wins, a 3.11 ERA, a Cy Young (and perhaps would have won a second if the Jays didn't bomb him in his final start of 2014), a perfect game and 2140 strikeouts. It seemed inevitable he would get to 200+ wins and 3000+ Ks. But now his K rate has dwindled, his win total is at 168 and his ERA has ballooned the past three seasons. Can he reverse course to maintain a HOF pace? Don Mattingly might be a good comp for King Felix - a brilliant peak but not enough longevity. So... does he get in? I don't know. I think he needs to reinvent himself as a pitcher a la CC Sabathia or Bartolo Colon to have a chance. Bartolo Colon - who knows with the writers? He's got 247 wins, a Cy Young, and is entertaining as hell, but has plodded along for the most part of the last 13 years with his career ERA going north of 4.00. Nope. Hitting a HR or flipping balls behind his back to first base at age 43 doesn't make one a HOFer. Brian McCann and Russell Martin - I'm lumping these two together as they're similar in many ways -- both have excellent WARPs as catchers for their defence and framing, and both have had up and down offensive stats. Both also have oodles of playoff appearances, too. I don't think either of them make it, but then again voters can be funny in how they'll vote. Evan Longoria - he was the face of the franchise for the Tampa Bay Rays and has a ROY award with three Gold Gloves along with 277 HRs at age 32, but his rate stats aren't very inspiring. He's going to need a big kick to his career over the next few years, but time is running out. Matt Holliday, David Price, Adrian Gonzalez, Fernando Rodney, Jose Bautista (sorry, but ... no), Jose Reyes, Adam Wainwright, Nelson Cruz, Hanley Ramirez, Victor Martinez, Curtis Granderson, Cole Hamels, Edwin Encarnacion (he'll need about 4 more 40 HR seasons to make it), Andrew McCutchen. I feel like there's somebody rather significant that I've overlooked, but ah well... this is what you've got for now. I'm probably thinking of someone who hasn't met the 10-year criteria yet. He doesn't qualify yet, but if his career ended at this very moment, I'm sure the committee will find a way to get Mike Trout inducted. Just an amazing career and after seven full seasons plus a cup of coffee, he's already got a higher WAR total than numerous Hall of Famers and is an inner-circle type in terms of JAWS and 7-year peak WAR totals. I think it's also safe to put Craig Kimbrel here. His next major-league pitch will qualify him for the HOF as he's got nine full seasons in the books, and these have been some pretty incredible seasons overall. At age 30, he's got a 1.91 career ERA, 1.91 FIP, 0.92 WHIP, 868 K in only 532 innings and 333 saves. He's pretty much a lock at this point. After 9 seasons at age 33, Mariano Rivera had a 2.49 career ERA with 283 saves. Kimbrel is far ahead at this stage of their careers; of course, Rivera was lights out the rest of his career, and it's going to be a challenge for Kimbrel to maintain his own torrid pace going forward. Paul Goldschmidt, Bryce Harper, Chris Sale, Manny Machado, Mookie Betts, Giancarlo Stanton, Christian Yelich -- just to name a few. Anything could happen with their career arcs. Yes, Yankee fans, it's much, much too early to project anything for Aaron Judge so don't @ me. Stop slobbering. He's in. Need we say more? 3166 hits, 477 HR, five Gold Gloves, 95.7 WAR, beloved personality. He's a Hall of Famer just for his antics. This is where the five-year wait rule really benefits Mauer. At the moment, many casual fans would remember the very-meh final few seasons as a first-baseman. But if you put those 1B seasons aside and only look at the 10 years he spent primarily as a catcher, his qualifications jump out at you. As a catcher, he hit .328/.408/.481 with three batting titles, three Gold Gloves and one MVP. That, alone, will make him worthy of the Hall. He's the only catcher to win three batting titles and only the third to win at least once. This is going to be an interesting case. His counting numbers are quite lacking as he retired with less than 2000 hits and with 259 HRs, but his OBP and SLG totals are very good for his position. His peak years rank favourably with other second basemen such as Ryne Sandberg, Roberto Alomar and Craig Biggio -- he has a higher peak in that he averaged 7.6 bWAR per season from 2005 to 2010, better than any of the other three in their best six-year stretches. He's also on Joe Posnanski's list as being in the top 100 all-time in two of the three categories so that'll have a big oomph on his candidacy. I'll say that Utley gets in, but who knows how many ballots it'll take? At age 30, David Wright seemed like a shoo-in for the Hall of Fame with his career arc; unfortunately, injuries wrecked his candidacy. He might rattle around on the ballot for a year or two, but will eventually fall off. Wright is a good reminder to not count your chickens before they hatch -- Adrian Beltre is a good example of this as well. At age 30, nobody would have foreseen Beltre as a "for-sure" future Hall of Famer, but when he signed a make-good 1-year contract with the Red Sox at age 31 and then signed with the Rangers the next year, his career took off from there and he built up a slam-dunk HOF resume. Thanks for reading, y'all. Your thoughts on potential HOFers? I've been wrong before on who would make the HOF and will probably be wrong with some of the picks above.